When searching for your Jcow Hosting provider, choose the host who can really make your social network site fly! That's Webhost Berlin! You and your members get the benefit of being hosted on our high performance Business Server platform. Give your network an extra boost with our Cloudflare Servers featuring page loads up to Much faster compared to competing hosts. Setup your Jcow software with a single click using Softaculous in your control panel. It couldn't be easier or faster to get your site up and running! 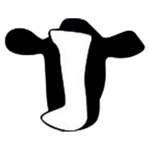 You'll automatically get an email notifying you when a new Jcow version becomes available. You'll be able to log into your control panel and update your Jcow install with a single click so you get the latest features and the most secure settings! When you spend your valuable money, time and energy to build a social network, you want it available at all times. You don't want to deal with downtime. That's just another reason why you need to host your site at Webhost Berlin! You'll be hosted on our ultra-reliable servers backed by our 99.9% Uptime Guarantee. Have any Jcow Hosting questions? Just ask our 24/7/365 Support team. They'll be happy to tell you all about our service including how you can quickly setup Jcow with 1-click. Get started now and you can try us completely risk free with our Money Back Guarantee. You won't regret it!